“What is My Home Worth?” is one of the most common questions we get asked. We could tell you the real answer, which is “your home is worth what a buyer is willing to pay for it” but that doesn’t provide you with the big picture of your home’s value. Perhaps you’ve found out what other homes on your street have sold for, or what homes might be listed at. Or maybe you’ve punched your address into one of those online free home value calculators. Maybe you have your house appraisal on hand. But, none of these are accurate indicators of what your home could sell for in the current market. That’s where the Kelowna Real Estate Professionals at Nyrose & Associates come in. Our team of Kelowna REALTORS® can provide a no-obligation, complimentary Comparative Market Analysis (CMA) to help determine what your home could sell for. The easiest way to answer the question: “How Much is My Home Worth in Kelowna?” Ask us today! On the fence about selling your home? Have questions? Download our Free Home Seller’s Guide. It’s everything you need to know (including how to price your home) before you put your home for sale. How Much is Your Home Worth? Setting the right price is vital to the successful sale of your home. Price your home too high and it could sit stagnant on the market. Price it too low and you’ll always be questioning if you could have gotten more for your home. Generally, buyers are searching based on three things: Price, Location/Neighbourhood, and Type of Home. You can’t change what your home is and where it is located so it’s especially important to price your home right. Market Analysis – Your Realtor® will source data and create reports that will paint an accurate picture of what is currently happening in the market segment related to your home. Called a Comparative Market Analysis, this report offers a detailed look at current and past market activity and trends for similar homes in your area. You will learn what homes are currently priced at, as well as comparative past home sales. An experienced agent will walk through your home and take into account things such as home type, square footage, age, condition, finishings etc. The Condition of Your Home – Perhaps your home could use some updating or repairs. A professional agent will price your home accordingly. Professional Appraisal – Your Agent may recommend having a professional appraiser come to provide valuable input to help determine a price. Online Valuation Tools – You may have come across an agent or website offering to instantly value your home. These will be rough estimates and should not be used to accurately price your home. 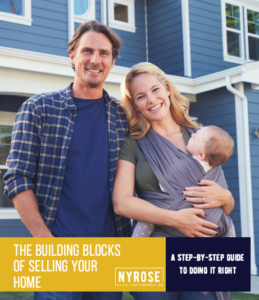 HOW DOES Nyrose & Associates DETERMINE THE PRICE OF YOUR HOME? Our professional real estate agents have an in-depth understanding of current market conditions, trends, neighbourhoods and market activity. The price of your home will depend on current real estate market trends and activity. One of our Kelowna REALTORS® will schedule an appointment to view your home and learn about what might make your home special or unique. We evaluate the features of your home and use this information as part of our analysis. We compare the details of your home with recent comparable sales. An analysis of the specifics and features of your home is part of the pricing process. We compare market activity and comparable home prices. When we look at properties that have recently sold, we have a good indication of what buyers are prepared to pay. Likewise, we also look at current homes for sale and recently expired listings. We compare the attributes of your home vs. the comparable homes to assist in determining a list price. We determine your needs and goals in order to set a marketing strategy and list price that will deliver the optimal results. Talking with a professional Real Estate Agent is the best way to accurately determine what your home is worth. It’s far more accurate than using an online house price calculator or free home appraisal tool. Contact Nyrose & Associates to Receive A Complimentary Kelowna Real Estate Market Analysis. Post Updated: March 23, 2018 – Editor’s Note: This popular blog post from 2017 has been completely updated for accuracy and comprehensiveness. We’ve included additional information to reflect current market trends. Hire a Professional or go For Sale By Owner?